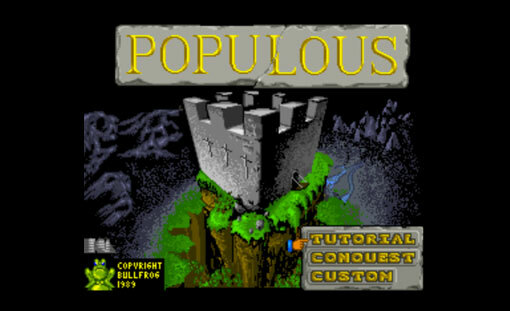 This week on TADPOG, we talk about Populous, the first god game by Peter Molyneux. We have two guest hosts with us for this episode: Jacob of Wolf Fighting, Final Fight, X-Men and Bioshock Fame, and Miller of Pilotwings Fame. Virtue’s Last Reward has a glitch of Sparkster magnitude. Tyler was on his 3DS all week on the cruise ship playing Professor Layton and the Miracle Mask, and Zero Escape: Virtue’s Last Reward. Miller played a bit of Dead Island: Riptide and World of Warcraft. Jacob is borrowing Tyler’s Playstation 3 and will be playing The Last of Us, but in the meantime he has been playing Fairway Solitaire, Plants vs. Zombies 2, and Borderlands GOTY. Dave has been playing Fire Emblem: Awakening for the 3DS XL, and Phase 4 of the Final Fantasy XIV: A Realm Reborn beta. Our theme song is Megalixir‘s cover of Moves by Sycamore Drive was used as our intro/outro under a Creative Commons Attribution-Noncommercial-Share Alike 3.o United States License.